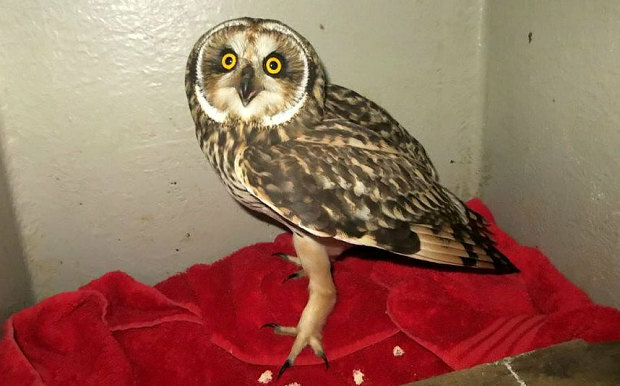 An exhausted short-eared owl has been given a lift in a helicopter after flying more than 100 miles to an off-shore oil rig. The bird crash-landed on a North Sea platform last Wednesday and was looked after by crew members who found it. 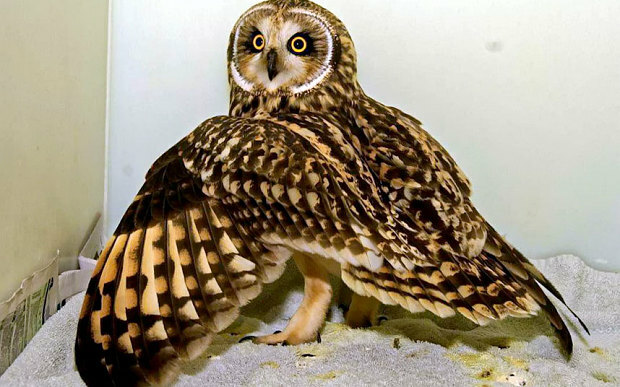 The short-eared owl was then flown back to land with departing workers and taken to the Scottish SPCA wildlife rescue centre in Fishcross, Alloa, Clackmannanshire, where he will be cared for until he is fit to return to the skies. It is not the first time a disorientated bird has landed on an oil platform and the SSPCA thanked the crew for looking after the owl. This article was first published by The Telegraph on 28 Oct 2015.